Cybis reconvened with its long-time partner, HOSA-Future Health Professionals, to produce an awards conference for its largest audience in a single room! Cybis integrates all aspects of show production to create memorable experiences for live audiences. Our award-winning team of designers and animators crafted a beautiful library of captivating video titles, now airing in the Grand Court at one of the Top Ten Malls in the world. Get the best A/V and best technicians during Cybis’ “off-season”! June of 2017 inspired members of the Cybis team to put their heads together and design a unique stage that would engage its largest live audience to date. The Cybis Team was all awesome! I can not even begin to thank you and your team enough….Cybis is amazing!!!!!!!!!!! Your team is always top of our list for video and editing. From my crew and myself we would like to thank you and the Cybis team for allowing us to be a part of all the shows this year. The HOSA show was AMAZING!! We are proud to be a part of it!! Your crew is one of the best to work with. It is an amazing mix of talent, creativity, committed, hard working, and professional teams we have the pleasure to work with. The 2018 ILC show and staging was outstanding. Five stars! The state conference this year was incredible in large part to your company. It was a pleasure working with you and your team. I wanted to reach out and say thanks for everything you and your team did for me at both events last week. You guys did a phenomenal job, and you made me look a lot better than I am. Haha! Your team on-site was great to work with! The sessions were high energy and amazing. We appreciate you so much! All the comments I’ve heard was this was the best CRLC in a long time. Thanks so much! It was a great conference - we are definitely proud of CRLC and you all helped in that! THANK YOU! What an awesome conference! You and your team knocked it out again (as usual) with the program! Thank you so much for including me as part of your team! I can honestly say it was a great experience! Everyone was so nice and welcoming, and working with you before and after the conference was awesome! I love how organized you are with everything, the script was great and I think the client was very happy! It's nice to work with someone who knows what they want and asks for it!" Whew..we did it! Great job again on another successful ILC. I enjoyed working with you and your team - such a blast. Congratulations on another successful and excellent event. Everything was beautiful and I’m honored to work with Cybis again. Thanks for taking such good care of me. Can't tell you how excited I was when I heard you were running this show and Cybis did not disappoint! Amazing lasers and video show. So so great. And thanks for making me look good on stage!! Your professionalism, attention to the most minute detail, boundless creativity, genuinely positive outlook AND the ability to deliver outstanding results within our budget are the reasons we will continue to turn to CYBIS for our signature event. I am fully aware that one of the biggest reasons the Orlando Sentinel calls the James B. Greene Award Dinner “the most prestigious business event of the year” is because of the show you deliver. Jeff and his team are amazing! It's so refreshing to work with a company that not only exemplifies professionalism, but also humor and humanity. Grateful to have worked with Cybis on a few wonderful events. As always, thanks for being so awesome! Signing with Cybis was my best decision, and I hope we can continue a long relationship. Thank you very much for letting me be part of another great show at BPA. Each show I learn so much and I am thankful for being part of the Cybis Team. Thank you Jeff for everything that you do so that we are able to show people what Cybis can do! Just wanted to let you know what an amazing job ya'll did at the Business Professionals of America National Conference. The music, lights and constantly changing screens set the stage for such an exhilarating environment. That setup was AWESOME. Thanks! Best I've had. Team Cybis's sense of family was very transparent, and something I think you should be very proud of! The amount of trust that was put into me to get whatever task I was assigned done was a huge boost of confidence to me. I was able to leave this experience knowing 100% that I'm ready and passionate about pursuing a career in live event production. Thank you for a great conference. It was truly nice working with your crew, they were very professional and easygoing. I just wanted to tell you a sincere thank you for allowing me to work as an intern for the 2017 FCCLA State Leadership Conference. I enjoyed the experience and learned a lot about both stage production and FCCLA. I was able to able to come out of the weekend genuinely grateful for the opportunity. It was definitely worth any travel and work. Thank you for a great evening and for all of your hard work on the videos! We’ve had rave reviews on them! Thank you for your help in making Fashion Week 2015 the smoothest and best in its 10-year history. This was yet another example of superb teamwork and partnership. Team Cybis is remarkable. You stay focused on the BIG picture, anticipate clients’ needs, and have a positive, problem-solving mindset. Bravo! Without a doubt, it is always a pleasure to work with the Cybis team, and they always provide quality shows!! 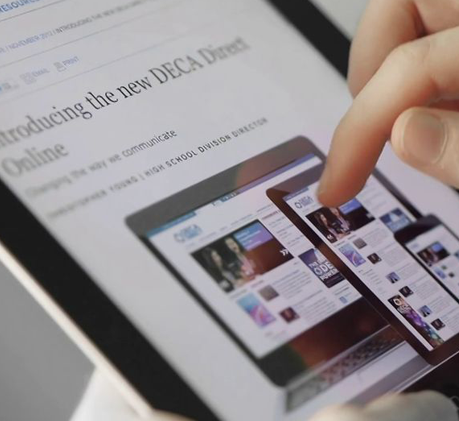 Each year, they integrate new technology, scripting, and design to keep the show cutting-edge for both high school students and our business partners. They never miss the mark! how much you guys love what you do! Your entire staff went the extra mile to make sure it was all done right. to make this a special day. I’d be remiss if I didn’t thank you for truly being the best team to work with. Your creativity and “can-do” attitude are astounding. You epitomize excellent customer service and in doing so make my job infinitely easier! I look forward to working with again and again! You guys make my job so much easier and honestly, you made me look good in front of 3000 students here in Colorado....so a HUGE THANK YOU to all!! Praise the Lord I use Cybis! You guys are AWESOME!! I am so happy, you exceeded expectations. I look forward to our next project together. My words can’t do justice for Cybis’ performance – you just have to watch it! The bottom line is that Cybis delivers. Flawlessly. Jeff and Team Cybis are like extended family. From the major events for the White House that we’ve produced to youth and corporate events, Jeff always brings a creative value on time that brings magnificent results. 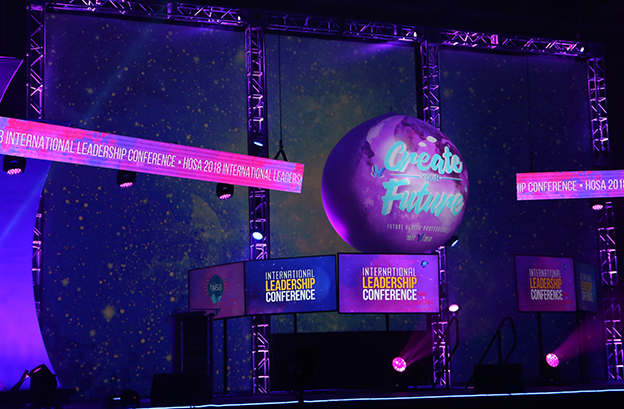 Your team always does a stellar job at making us look great with artistic graphics, creative presentations and wonderful onsite execution. They have a willingness to go above and beyond for a client. Cybis really becomes part of your team, not just a vendor. They look out for your best interests. 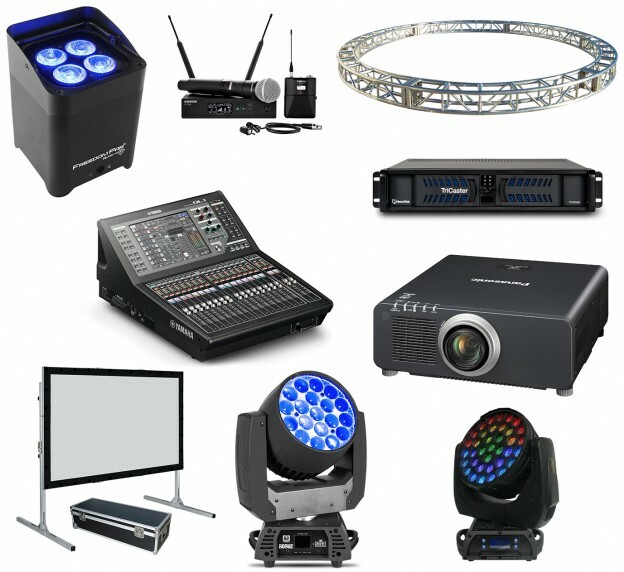 Cybis is the most creative, cooperative, innovative AV company that exists! I have this confidence that they will always deliver beyond what I could have possibly imagined. I’ve worked with Cybis on the execution of 6 regional conferences for The White House. Jeff and his team are tremendous. Sharp. Professional. Committed to excellence. Thorough. Creative. Cutting-edge. Easy to work with. I could go on, but I think you can catch the message. It was truly a pleasure and honor to work with you. Thank you! Keep dong what you are doing. Your services are outstanding. You truly... Show up and Shine. This internship has truly been a hands-on experience in the event industry that I'm so fortunate to have been given! My eyes have been opened to multiple facets in the Live-Show industry from design to show production and I have had such a great time with your team! Jeff and his team at Cybis are one of the most service-oriented and forwarding-moving companies with which we work. They always are extremely helpful and creative with their ideas! Cybis was simply incredible. Their attention to detail and how easy they were to work with and communicate with was unprecedented. Cybis is the BEST production company that I have worked with with over the years. It is great to see all of the preparation that was involved with creating an inspiring show for our members. 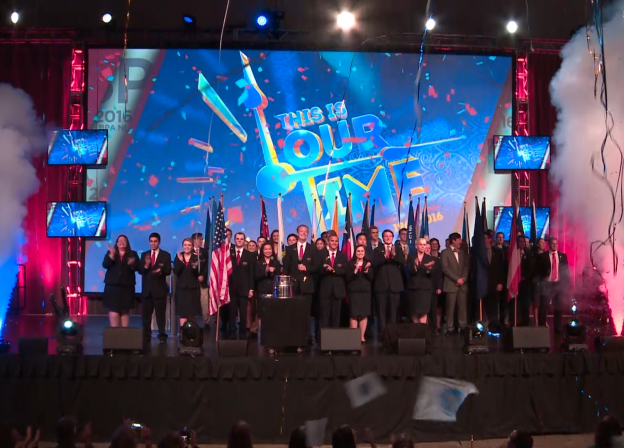 Your promotional video for the 2012 NLC in San Antonio creates a new level of excitement for our organization. Your support and involvement enabled us to host a first-class event for our members. Your team’s attention to detail and commitment to service made for a seamless and brilliant program. We inspire, influence, and entertain audiences by creating thoughtful, purpose-driven, and unified visual and live experiences. "Find something in life you love doing so much that you would do it for free -- but do it so well you get paid for it."